If you are now wondering what Wuppertal is… I totally get you. Few people have ever heard about it… Wuppertal is actually my home town in Germany, and the place I grew up in, until I left for London in the 1990s. 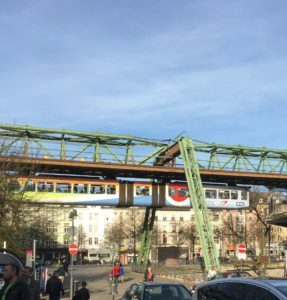 Wuppertal is famous a few things though: Aspirin came from Wuppertal, Engels, one of the original authors of the communist manifesto – and it has a railway that hangs upside down (and that is the defacto mode of transport in the city). As far as similarities with Lisbon are concerned, it is hilly, too. And that pretty much sums up the similarities. Above all Wuppertal is an industrial town, it isn’t a gentle town by any means: working-class to the bone, rough and ready. But as so often, an interesting cultural scene does not flourish in highly sophisticated centres like London or Paris… but edgy art sometimes comes from rough and ready towns like Wuppertal. Two of the names connected to Wuppertal – and Lisbon – are Pina Bausch and Wim Wenders (who themselves are connected…see below). Pina Bausch was the choreographer of the Wuppertal Ballet Company (or Dance Theatre as it is called in German). Pina Bausch famously refused to move from Wuppertal… refusing to go to Paris and snubbing London where Sadler’s Wells pretty much begged her to come permanently. When I grew up “in the valley” as the locals often call Wuppertal, Pina Bausch was an integral part of the cultural scene: Thanks to heavy subsidies, I remember we always got “student price” tickets as pupils: costing us something like €2.50 for the best seats in the house. Also, one of my best friends in school had a massive crush on one of the dancers of Pina Bausch, so seeing a performance once wasn’t really an option. We had to go there as often as we could. Anyway… it was great growing up and watching world-class modern dance – in what was essentially a very provincial town. In 1998 Pina Bausch created Masurca Fogo in Lisbon – as part of the cultural program of the EXPO98 in the Portuguese capital. The piece is one of the more humourous pieces created by Pina Bausch. It seems, that working in Lisbon hasn’t just woven some fado-like sounds and a feeling of saudade into the creation, but has also contributed many up-beat lusofone influences: Cape Verdian music, Rui Junior drum performances, video sequences of the ocean, rainforests and a look at life from a more sensual perspective than some of her other pieces. Mascura premiered in Germany and Lisbon in 1998, and is still touring the world (in 2015 it was shown in Oslo, Luxemburg, Antwerp and Monaco). If it happens to come to your place, definitely try and see it. If you like Lisbon, I’m sure you’ll find quite a few references to the city on the Tejo. The second artist is less connected to Wuppertal than Pina Bausch (who obviously lived and worked in Wuppertal). Nevertheless, the German film maker has used Wuppertal in some of his best known films, including Alice in the Cities, his fourth movie. 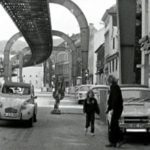 Wuppertal, and the suspension railway take centre stage in the movie (see the still on the right). While Wim Wenders never lived in Wuppertal, he returned to Wuppertal in 2008/9 to film the movie Pina, about the works of Pina Bausch, much of it features scenes from Pina Bausch’s works performed in and around Wuppertal. 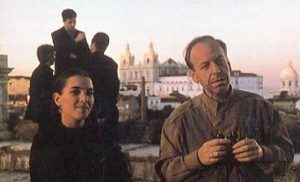 Wim Wenders also paid tribute to Lisbon in his unique way: by making a film dedicated entirely to the city – and asking fundamental questions about cinema and art in general: Lisbon Story in Germany and Portugal- or O Céu de Lisboa in Brazil. In the movie Philip Winter, a sound engineer (who has the same name and is played by the same actor as the main character in Alice in the Cities!) is searching for his lost friend, a movie director, in Lisbon. Through a number of mysterious clues, Philip discovers not only the sounds (and sights) of Lisbon, but also why his friend has disappeared, helped by no others than fado-group Madredeus and legendary Portuguese film maker Manoel de Oliveira. I remember watching Lisbon Story shortly after it came out in 1995. 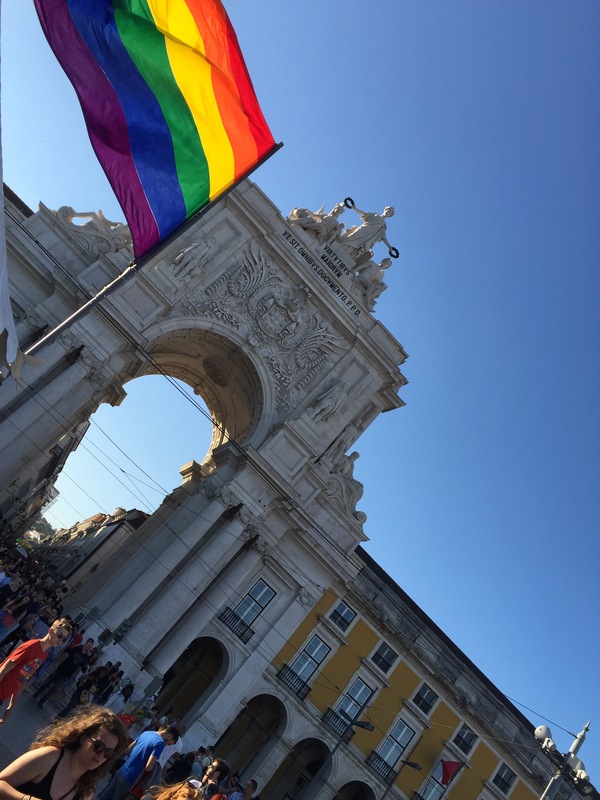 At the time, of course, I had no plans to move to Lisbon, and never thought I would end up there (in fact, I was just moving to from London to Brussels at the time). But I remember that I always found the movie beautiful, contemplative, in a quiet and reserved way charming – and above all a movie that created the image I have of Lisbon. If you haven’t watched the movie, you can watch the trailer here – and if you have a chance to watch it in full: do! So…. there we have them: two artists who have been inspired by Wuppertal and Lisbon – two cities that couldn’t be more different. But when combined, result in amazing inspiration.